Born: April 20, 1850 in Sandwich Ma. Died: May 5, 1913 in Pocasset Ma. 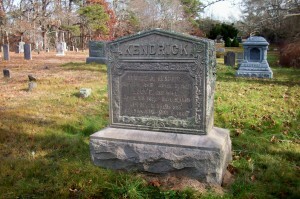 at 63 yrs, 15 d.
Married: November 14, 1869 in Sandwich Ma. 1. 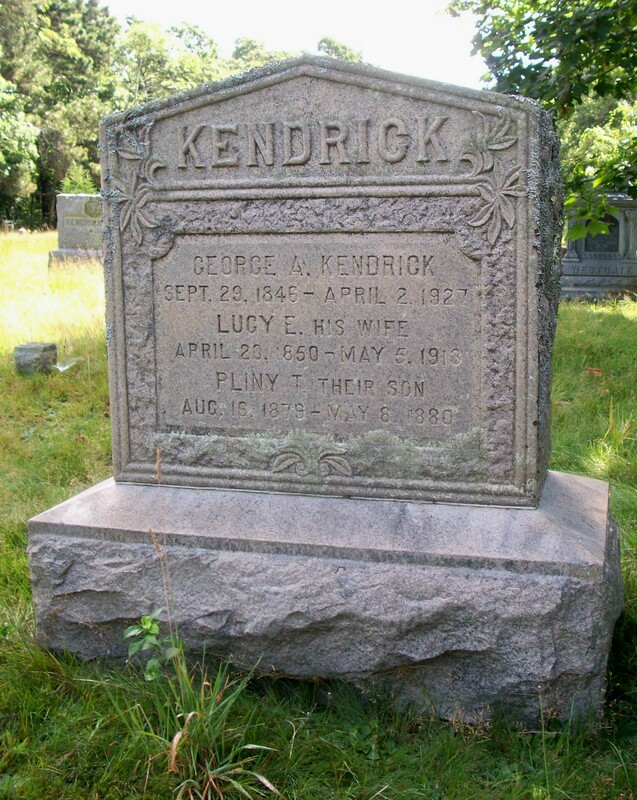 Pliny T. Kendrick; (July 16, 1879 – May 8, 1880); Pliny died at 9 mos, 22 d. & is buried with his parents in Pocasset Cemetery.